I'm starting this again, but this time for real. Our site engine has got exceptionally old. Things are going so fast nowadays in IT department... so, I'm making plans to rebuild YOT yet again. This time, though, because of lack of any activity, I think I'll make a blog-centered website. 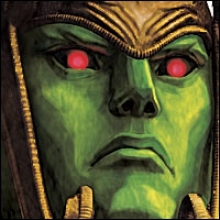 Basically, the Manjikai will become a place for me to write Yoshimitsu-related blog, and if anybody volunteers, he/she will assist me in making the blog live. The blog posts will of course fall under many categories, but still it will be a blog, and it will be the most important part of a website. News will be rather on twitter-side, and they will reside somewhere on a sidebar. - The forums will stay as they are, maybe rebuilt a bit. The series of blog articles will also feature a Yoshi mini-guide. Do you have any suggestions as for the future YOT website? Will you like it the way I described it? I'm all for it. Can't help it if people aren't as active and playing still. I would definitely blog from time to time. As for help, I'm not sure what you need but I'm willing to lend a hand. Customizability - If possible, give more customizability for the user, maybe being able to choose through different themes, dark theme, bright theme, summer theme, yoshimitsu theme, sc, tekken, etc. Very nice suggestions, keep them coming! There's another website that I'm going to make, but it's a secret until I make it ^_^. Oh, by the way: how do you see the speed of the site? we've recently changed our hosting provider. Is it faster for you? Current server's location is in a different datacenter, and also the server is equipped with a cache manager. I wonder if you feel any difference. Never actually kept track of it before, but now that I've tested it by going to numerous pages, it loads pretty fast. When I go to the gallery, all the thumbnails load up instantenously, same with the other pages, not sure if it was like this before. But I doubt it could be much faster than it is now. I really like Kai's suggestions. Continueing on Kai's suggestion on the interactivity part. How about a weekly get-together, but besides that, the matches will also be streamed on a streaming site, like twitch? We could do something like Level|Up's Wednesday Night Fights. If we had some monthly tournaments, we could perhaps draw some more activity to due some continuing events. The only thing like that in recent time around, is the yot awards. I definitely think we should strengthen the sense of community on the site. 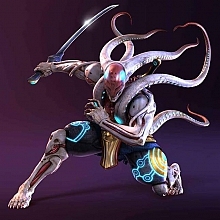 This really is the only Yoshimitsu fansite around, and I like the fact that we all have our love for the character in common. Also, just a personal note, I think the forum section should be reorganized. It's a bit confusing at times, as the requirements for different sections are not all that specific. I don't think the community flavour will survive - the mark of the times are social websites which are more engaging than any other websites. I don't think I have enough strength, time and resourcesto transform YOT into community website. I had in plans to create another Tekken website (www.tekken.tv), but to hell with that! I will focus on the Manjikai. This is my home. Wow, that really happened on Twitter? That's disappointing. It's been a long time after all. We all know that you are very seroius boss, but I couldn't imgaine you quiting Tekken, even if you wanted too do so.